Sure, you’ve had Mojitos (I hope, and if not, you know, it’s a minty-rum-y delight of course so where have you been, dear)? In the summer, when they are one of the ruling drink class. Or in the spring, when you’re pretending it’s summer in your short shorts, even though you’re chilly. I see you. And even in the fall once, when you were thinking about Cuba. I sorta like them also in the winter, to deliver a summer dreamtime as the cold air nips noses. You may like that, too. 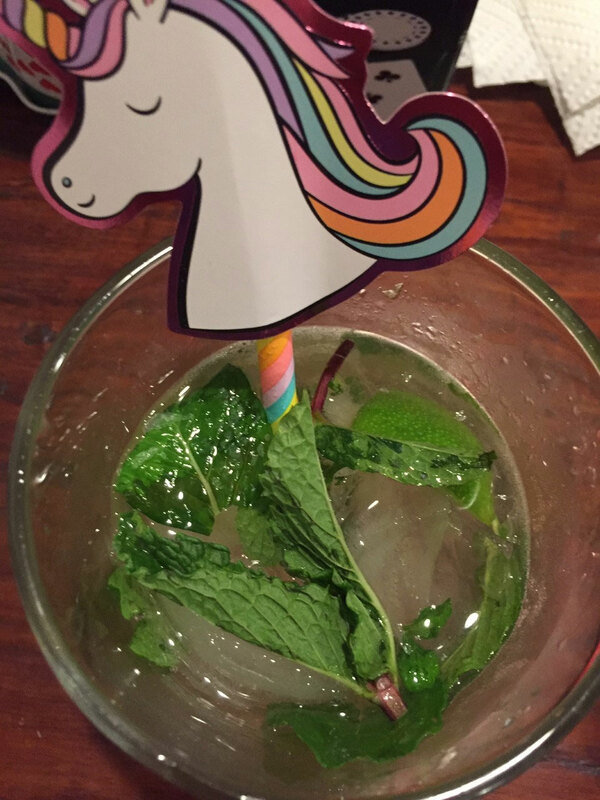 But have you ever had a Mojito with a rainbow unicorn straw? I did, recently, and let me assure you – it’s better. The Mojito? Great drink. With a unicorn rainbow straw? Better. Maybe it’s this way with any drink? Here, though, trust me. 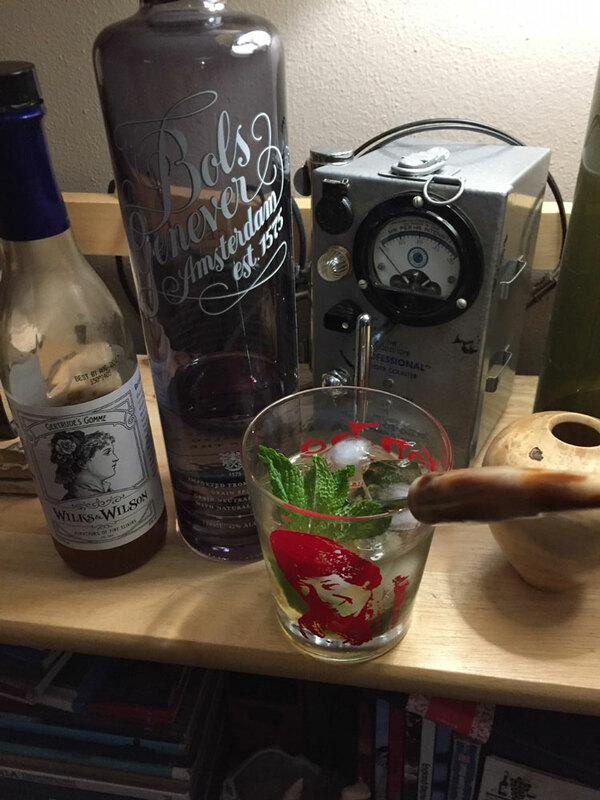 Good times, with rum, and unicorn. Run with that, my brave and wonderful friends. 1. Add the mind, lime wedges, and simple to a highball or comparable glass. Muddle well with a cool muddler. 2. Fill the glass most of the way with cracked or crushed ice. Add the rum, then nearly to the top with soda. 3. Smack the mint a bit to get the oils flowing, then let it float atop the drink. And don’t forget to add your unicorn straw! 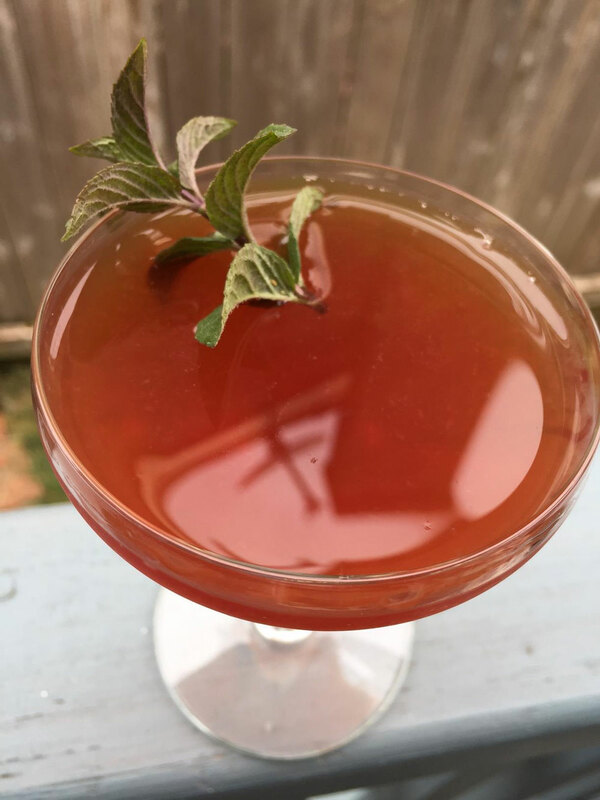 Recently, I was on a trip – the actual physical kind, mind you – that took me away from my home bar and home region, and led me, let’s just say, to a different state, and while there I was really craving Brancamenta, and couldn’t find any anywhere. Anywhere! What kind of place or region or locale or spot doesn’t have this Fernet Branca sibling, which adds Piedmontese peppermint oil and a little sweetness to the legendary bitter-and-herb digestif? 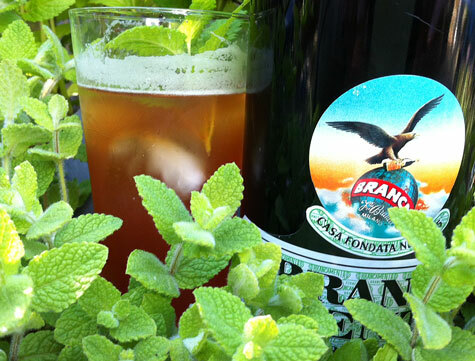 Well, I was missing the minty mint-ness indeed by the time I got back, especially as we’re heading into summer and Brancamenta is a summertime hit of special proportions, especially with soda, and even moreso when mingled with dark rum (another summer fav) and a few other choice choices in the below drink. Try it and see! And if you have to travel anywhere that might not have Brancamenta, even just maybe might not have it, take your bottle with you. You don’t want to run into the situation I did, believe me you. 1. Fill a cocktail shaker halfway up with ice cubes. Add the rum, Brancamenta, lemon juice, and bitters. Shake well. 2. Fill a highball or closely comparable glass up with ice cubes. Strain the mix from Step 1 into the glass through a fine strainer. 3. Top with 3 ounces club soda. Stir. Garnish with the mint spring. Enjoy your afternoon. Some days are difficult. Take tomorrow, for instance. It’s a tasty kind of difficult, because two solid drinking days are happening tomorrow, the fifth of May, 2018. First, it’s Cinco de Mayo, a fantastic day for having Mexican-inspired drinks, in celebration of the Mexican Army’s win over the French at the battle of Pueblo and Mexican-American culture. If you’re having sippers for Cinco, I dig it. However! 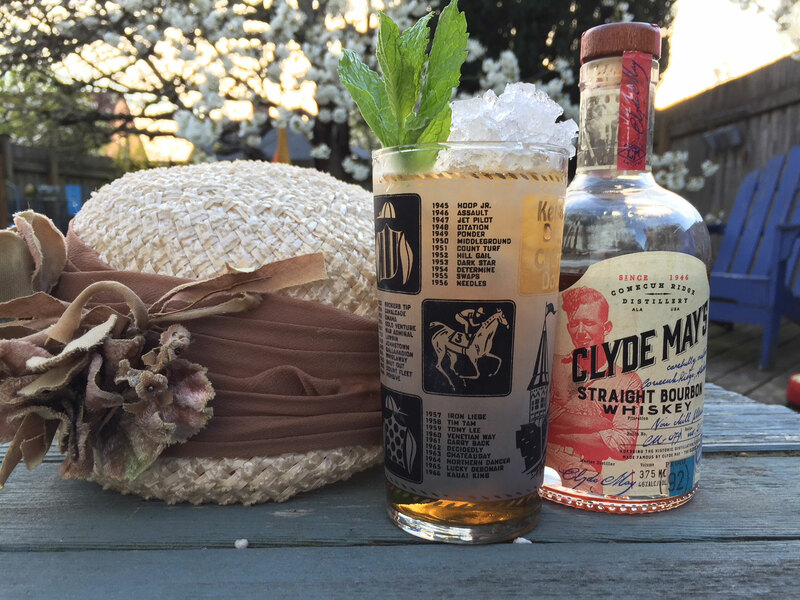 It’s also the 144th running of the Kentucky Derby, a day when more Mint Juleps are consumed than any other day, and a day when many fine hats are worn. I’m going the Julep route tomorrow (admittedly, I may have a National Arms tomorrow, too). And one today, cause, well, I wanna make sure I have things right. Why the Julep route this 5th? Well, a lot of the reason is because I received a bottle Clyde May’s Straight Bourbon in the mail the other day, and I’ve been itching to try it in a julep, and, well, the circumstances seemed too fortuitous to miss! Boasting a swell-looking bottle with visuals harkening back to the inspiration of the name, Clyde May that is, who legend says was a “moonshine icon who made the best whiskey Alabama ever tasted” starting back in 1946, and made by the Conecuh Ridge Distillery, this bourbon’s a nice 92 proof, is non-chill filtered, and aged for 5 years (hey, another 5 on 5/5!) in heavily charred American oak. Its aroma features vanilla, dried fruit, oak, and spice all playing together, and a taste that mirrors the vanilla and oak, but also delivers brown sugar, nuts, and more spice, including a peppery, near-peppermint-ness on the back end. Nicely balanced all around, and worth sipping solo, but also a solid cocktail bourbon that can provide flavor and backbone. 2. 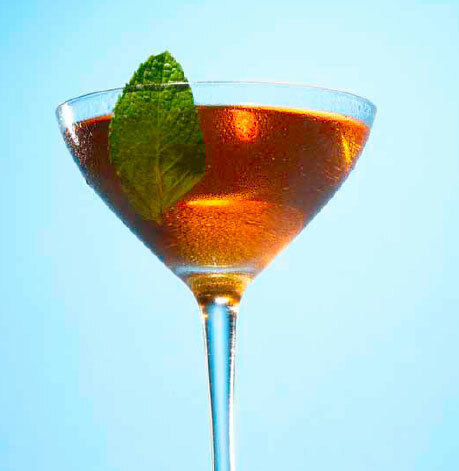 Add the remaining mint leaves and the simple syrup to the glass. Using a muddler or wooden spoon, muddle the leaves and syrup. You want to be strong, but respectful. 3. Fill the glass half way with crushed ice. Add the bourbon. Stir well. 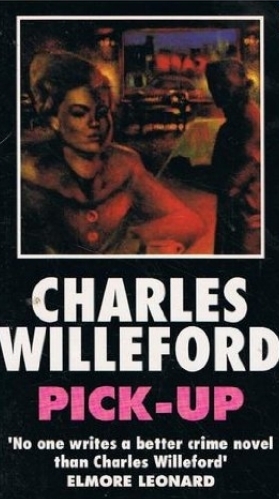 Decided on thinking it through that I needed one more quote from Charles Willeford’s one-time underground classic (still classic, just not really “underground” as you can pick it up easily enough, and you should), Pick-Up. Be sure to read the Pick-Up, Part I Cocktail Talk, and then come back – if you already haven’t read it, that is – and catch the below quote, about a drink called The Dolphin Special. Which I’ve never seen on a menu, but which sounds pretty neat, and boozy. He nodded solemnly and left for the bar. The Special is a good drink; it contains five varieties of rum, mint, plenty of snow-ice, and it’s decorated with orange slices, pineapple slices and cherries with a sprinkling of sugar cane gratings floating on top. I needed at least two of them. I have to build up my nerve. Just two short weeks ago (which can seem a lifetime during the savorable days of late summer) I had a drink here on the Spike Punch called the SPF – Silver Port Fizz. It featured Sandeman 10-year-old Tawny Porto, in what may have been an odd move for some, port not being a sunshine-y drink companion for many. But this Sandeman Tawny! It’s so fruity, and so full of flavor that it begs (not literally, as wine, spirits, and liqueurs shouldn’t really be talking to you) to be used in summer drinks, fruit being such a key element of the season’s liquid fare. It’s so worthy that I couldn’t help myself dreaming up other drinks utilizing Sandeman Tawny Porto 10 to be had when the Mercury has risen and ol’ sol is beating down. And that leads us to Summer’s Charm and Courtesy. Less obviously a summer drink then our last refreshing port number, this drink bring out summer through a wave of fruit notes, all subtle separately but coming together in a rapturous (well, drinks can be rapturous, too, right?) layered lush sip after sip. It starts with the Sandeman, which delivers fruit and jam and a hint of nutty and oak, then moves into Plantation Stiggins’ Fancy pineapple rum (a nice note also between all the recent Dickens’ posts), which is a dream, Pierre Ferrand orange curaçao, Fee Brothers West Indian orange bitters, and a little lime. Then, as the last act of courtesy (and in my mind, one can’t be too courteous), a little fresh mint. It’s just so darn fruity! And so darn good! Darn, give this a try before another sunrise and sunset pass along past us. You’ll be happy, I’ll be happy, the sun will be happy, and all will be well. 1. Fill a cocktail shaker halfway full with ice cubes. Add everything by the mint. Shake well. 2. Strain through a fine strainer into a cocktail glass. Garnish with the mint. Enjoy. Hey, the Kentucky Derby is tomorrow! I’m guessing you have your hat and outfit picked out, and that you’ve slaved over the list of horses racing in the big race, and are ready to make your pick, place your bets, show off your hat, and eat your Derby pie. But do you have the right Mint Julep makings ready? I sure do, cause that’s what I’ll be having tomorrow. And this year, I’ll be using Four Roses Single Barrel bourbon in it, and feeling pretty awesome about the idea (I did get a bottle in the mail – don’t be jealous). It’s a fine, fine sipping whiskey, with some rich, smooth flavors and aromas: fruits, spices, hints of maple syrup. I nearly feel bad about having it in a drink! Except that it makes such a darn good julep! 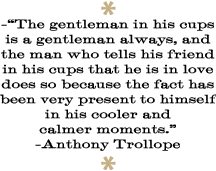 Four Roses also has a good story – and every drink is better with a good story. It starts with founder Paul Jones, Jr., who was enthralled by a particularly beautiful Southern girl, and so sent her a proposal of marriage. She replied that if her answer to him was yes, he’d be able to tell because she’d be adorned with a corsage of roses at an upcoming ball. She showed up with a corsage of four red roses, and his love for her was so great, he named his whiskey after those roses. 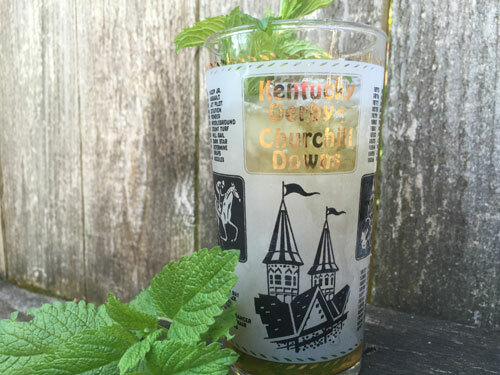 Add telling that story to your Derby traditions! 3. Fill the glass halfway with crushed ice. Add the bourbon. Stir until the glass gets chilly. A Note: To be traditional, you must crush the ice in a cloth bag. But if this is too much work, just start with crushed or cracked ice. A Quote: “A Mint Julep is not the process of a formula. It is a ceremony and must be performed by a gentleman possessing a true sense of the artistic, a deep reverence for the ingredients, and a proper appreciation of the occasion.” –S.B. Buckner, Jr. in a letter to General Connor, 1937. If you aren’t up on your ancient Greek history (shame on you – or, on us, as my memory keeps getting worse, too, making my ancient Greek, not to mention last week, a little hazy at times), Iollas was the son of a Macedonian general, and a royal youth at the court of Alexander the Great. Heavy. The story goes, when Mr. Great (as he was called) was murdered, many wanted to ascribe it to poisoning, and writers (as they’ll do) laid that serious poisoner-of-Alexander tag on Iollas, who carried the royal sipping cup during the emperor’s last sickness. How does that all tie into this drink, which isn’t poison at all, but a nectar of deliciousness? Well, for one, it utilizes mint, which was a favorite of the Greeks (still is, I suppose), and used to help folks transition into the afterlife. So, that’s a tie in. But also, I tend to think (as many do, nowadays) that Iollas wasn’t actually a poisoner, just in the wrong place at the wrong time. Which means he deserves a strong drink in his honor, and this beauty is that drink. 1. Rub (carefully but firmly) the 3 mint leaves all around the inside of a cocktail glass. Then discard them. 2. Fill a cocktail shaker halfway full with ice cubes. Add the rye, apricot liqueur, and vermouth. Shake well. 3. Strain into the minty glass from above. Garnish with the mint sprig.